Diamond Print Glitter Introduction Video! 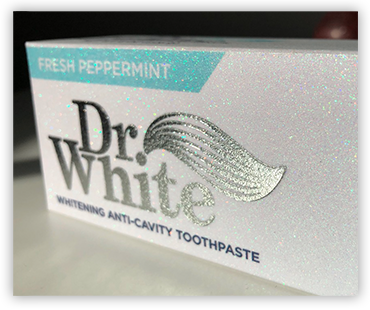 The world’s first full line of printable glitter paper and film that can be used for a wide range of printing and converting projects. 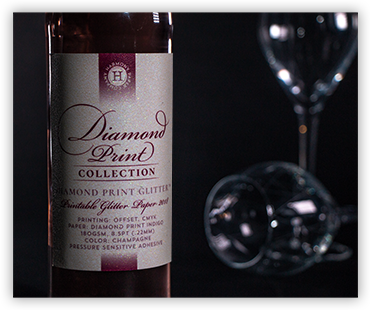 With both a striking visual appearance and textural surface, Diamond Print Glitter will dazzle and delight as packaging, bags, envelopes, tags, labels, signage, displays and much more. 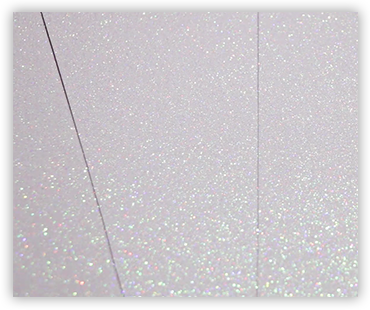 Our proprietary production process eliminates glitter flake shedding and cracking. Our patent pending HP Indigo Certified glitter paper earned 3-star ratings with 100% ink adhesion, excellent run-ability, and photo-grade print quality. Availability in paper and film options, in both rolls and sheets. Indigo compatible on both sides, no pre-priming required. 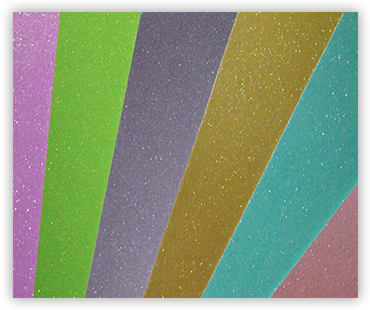 Available with MultiLoft adhesive from Convertible Solutions for creating double-sided, double-thick glitter sheets. 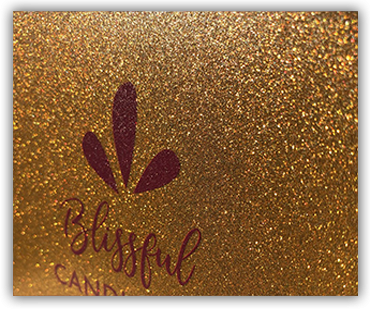 Our proprietary production process maintains a traditional glitter look and feel, while offering high resolution print quality. Printing compatibility for offset, flexo and screen printing using UV and aqueous inks, as well as varnish. 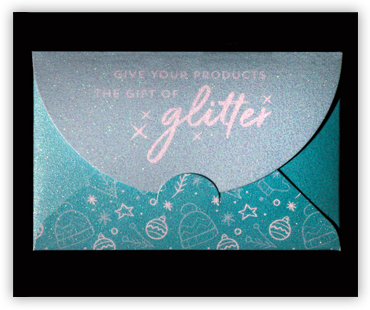 Diamond Print Glitter can also be foil stamped (hot and cold), embossed, die cut, laser cut, scored, folded and glued. With roll widths up to 56.5” / 1435mm , and options of larger glitter flake sizes, the Diamond Print Wide Format series is the “go-to” solution for attention-getting signage and display projects. Compatible with most digital and screen flat-bed presses, as well as roll to roll printers using conventional inkjet, latex and solvent based inks. Make your next sign or display project shine! 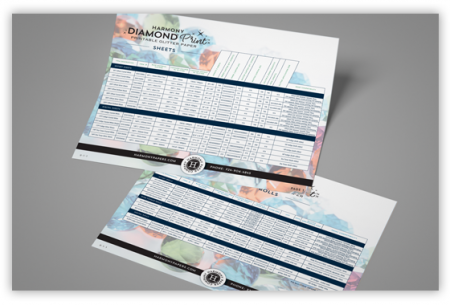 These 100% shed-free sheets optimized for Dry Toner digital machines produce stunning results with all the Diamond Print perks. 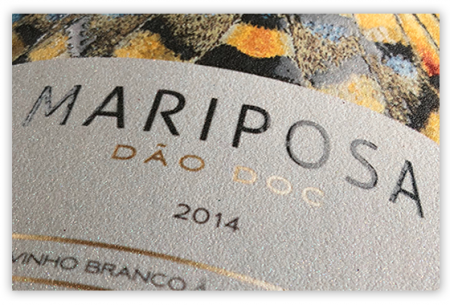 Our patent pending process for creating a smoother, more receptive surface for toner fusing allows for brilliant, un-mottled print results! Ideal for short run and variable data projects. 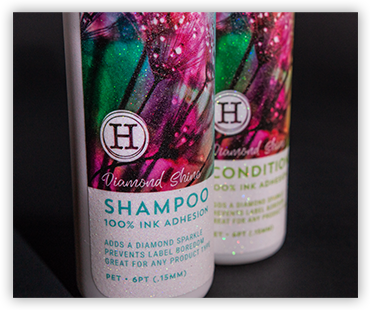 Available with Multi-Loft adhesive from Convertible Solutions for double thick or double sided glitter options. 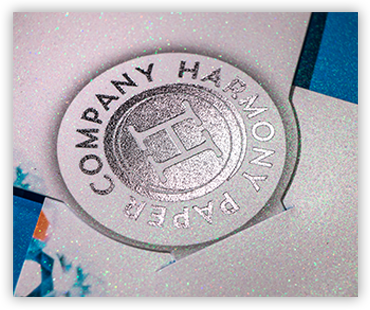 We can custom match your glitter flakes to any Pantone color. 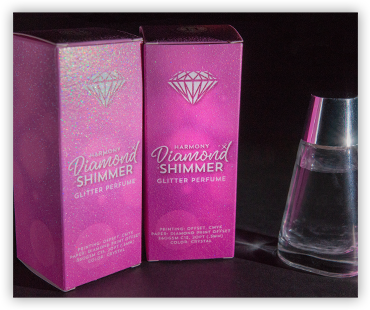 Or, simply print the desired color and let our Diamond Match Glitter flakes reflect the color of your choice. Control your shine, smoothness, and texture with the right glitter size. 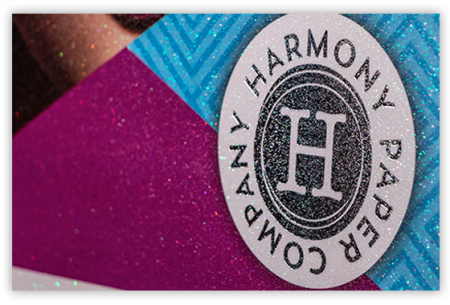 Harmony Paper Company can apply the proprietary Diamond Print™ coating to the base substrate of your choosing. 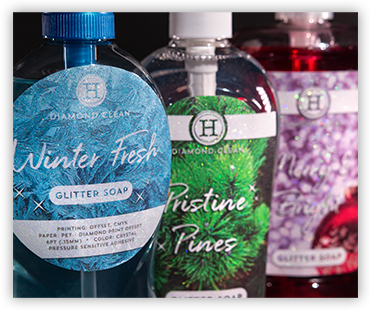 Options are endless with Diamond Print Glitter’s diverse applications and broad printing compatibility. Diamond Print flood coated sheets. 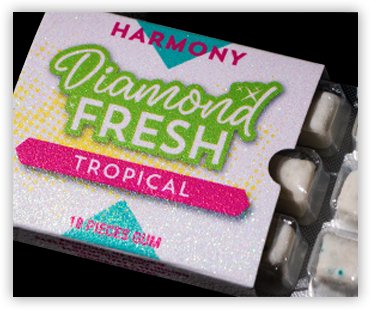 Diamond Print Offset Adhesive Label.